I am so excited to finally see this room completed...but it's not there yet. This will be our dining room, and when we moved in this was a very dark, unattractive room that felt small...and useless. It was originally just a "walkway" for the patio door and was included in the kitchen square footage even though it wasn't utilized in any way as useful space in the kitchen. When I walked in the kitchen for the first time and saw this space I know two things. 1. It needed to become a functional space. 2. That brick needed to be white. Everyone questioned my sanity I think at some point of why we were removing EVERYTHING in this space...the entire kitchen, the walls, the ceiling, the floors, the sub-floor, and knocked out the exterior wall. Why would I keep this ugly wall of Z-Brick instead of starting fresh with a new clean wall? And I knew...deep down... that I could make it gorgeous and then..THEN we'd have an amazing feature wall in this space. 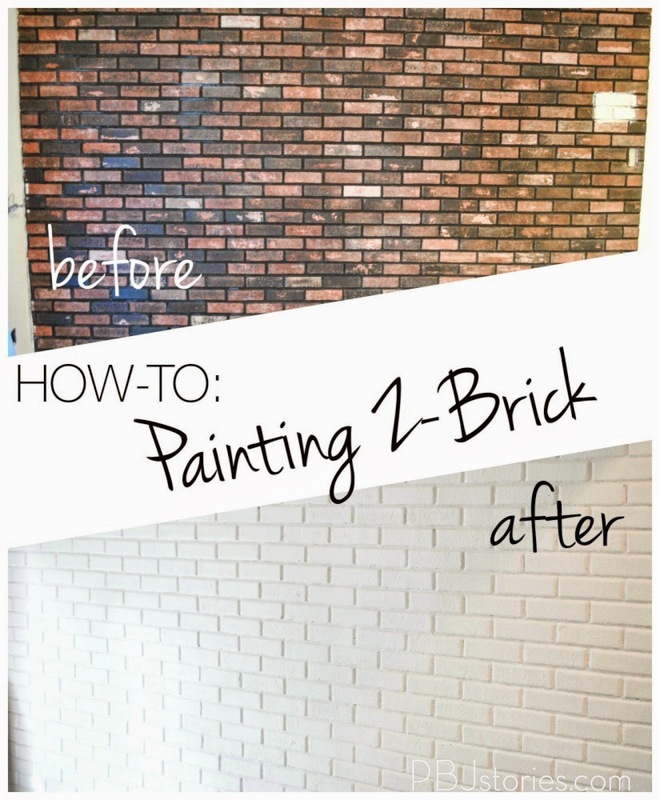 Painting Z-Brick is very similar to painting regular brick - in fact I don't think I took any steps that I'd do differently if this had been real brick. But it's a very time-consuming and patience-testing process...but as with most things that take time, the pay-off is BIG! 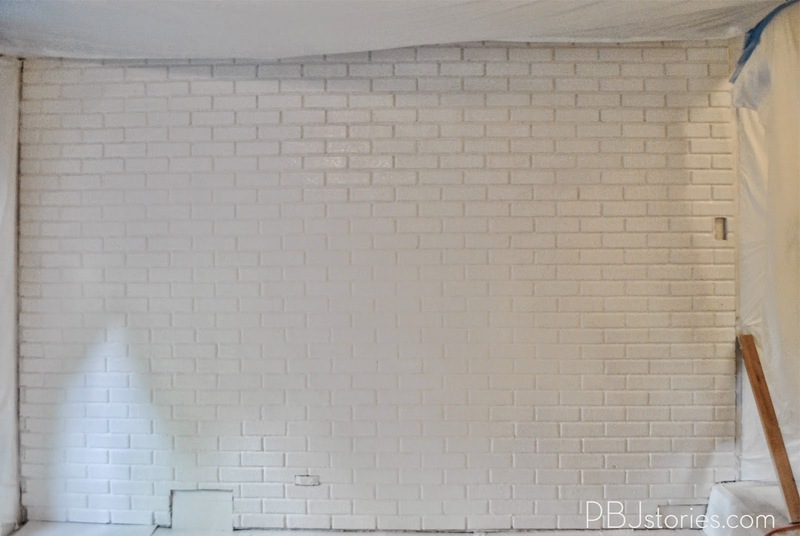 I could have made the painting process a few less steps had I just white-washed the brick, but I wanted a complete bright white brick look so it took a few extra coats of paint. Step 1. Wash your wall with a degreaser to remove any build-up, especially if it's in the kitchen space (I used Zep Heavy Duty Citrus Degreaser). 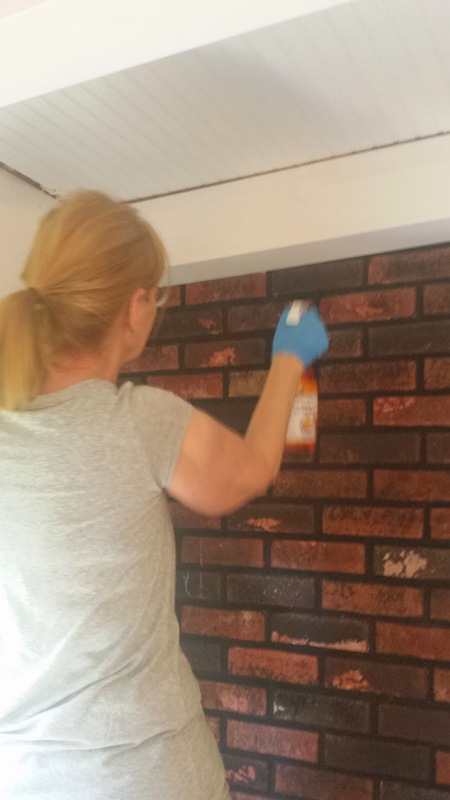 My mama was over that day to help out so she did the spraying and scrubbing. Step 2. 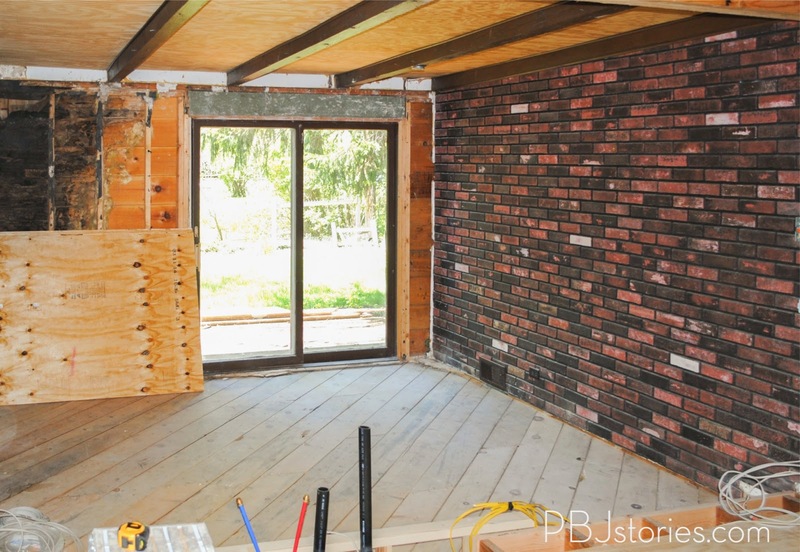 After your brick has dried, you'll do a second washing with TSP (Trisodium Phosphate). I just mixed according to the TSP instructions with water, used a scrub brush to rub on and scrubbed in a circular motion. Then did another scrub/wash down with clean water. 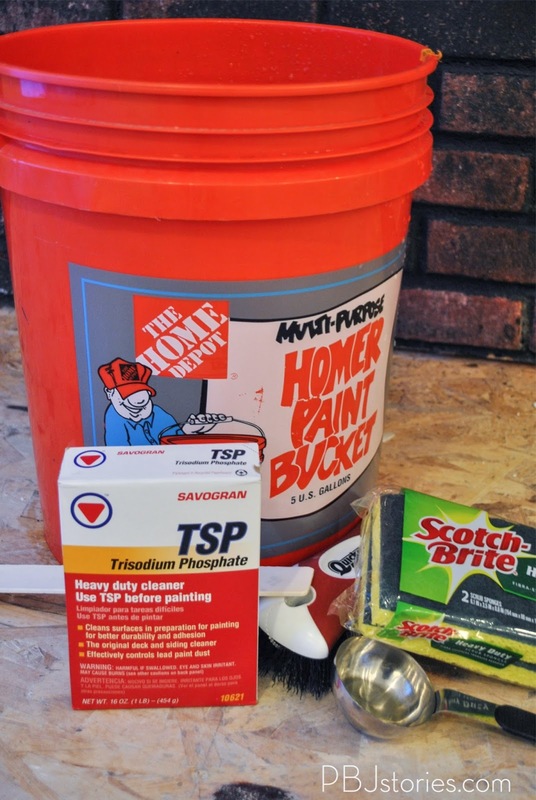 TSP is a very concentrated cleaning agent that is great to be used on specific surfaces prior to painting. I let the wall dry for 24 hours after this to be SURE it was completely dry. Step 3. 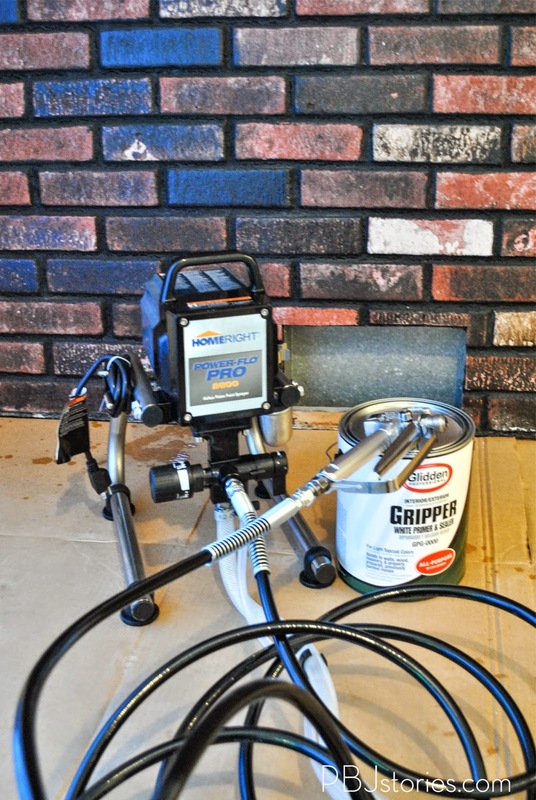 Another prepping step: Adding the first primer level - Concrete & Masonry Bonding Primer. 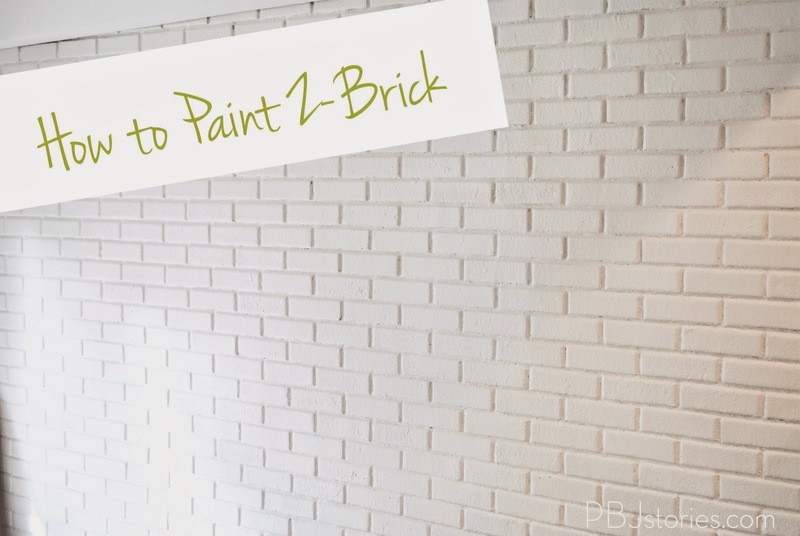 I decided to do this step pretty last minute when I was picking up the primer for the brick... I did a little reading up about the bonding primer for masonry and decided if I wanted to be EXTRA sure this wall was going to hold-up I should take this extra step too. It rolls on very easy, and a little goes a long way. What does it do exactly? 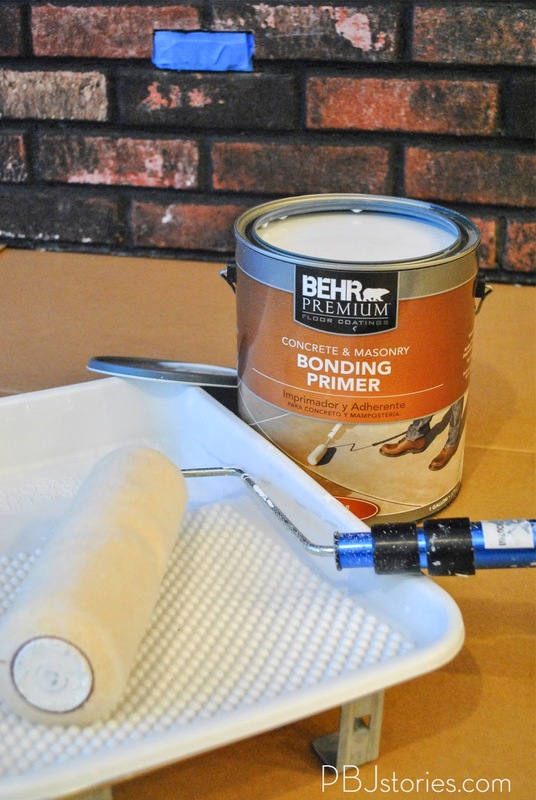 Straight from the word's of Behr, "For a long-lasting durable finish, use BEHR PREMIUM Concrete & Masonry Bonding Primer. This high-performance water-based primer will promote a uniform topcoat finish and create a stronger adhesion between the coating and surface. It is easy to apply and dries clear." So once I read that I figured it essentially prepares the very porous surface of concrete/masonry for the ACTUAL paint primer that would be next so that primer could do its actual job which is to adhere paint better. Does that make sense? I know, I'm nuts. A quick coat and let dry for 4 hours. Step 4. Painting Begins! After the bonding primer, I was ready to tackle the paint priming layer with HomeRight Power-Flo Pro 2800 and Glidden Gripper Primer. 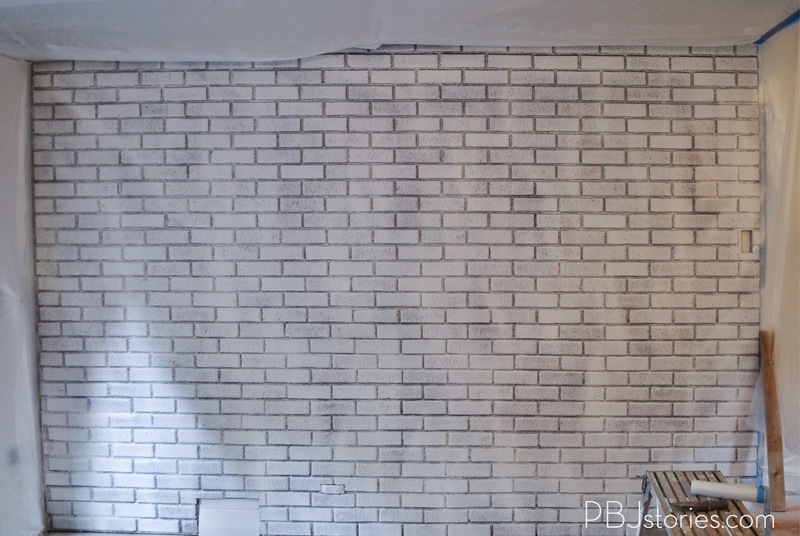 One of the biggest questions when painting brick is if you should use a roller or paint sprayer. 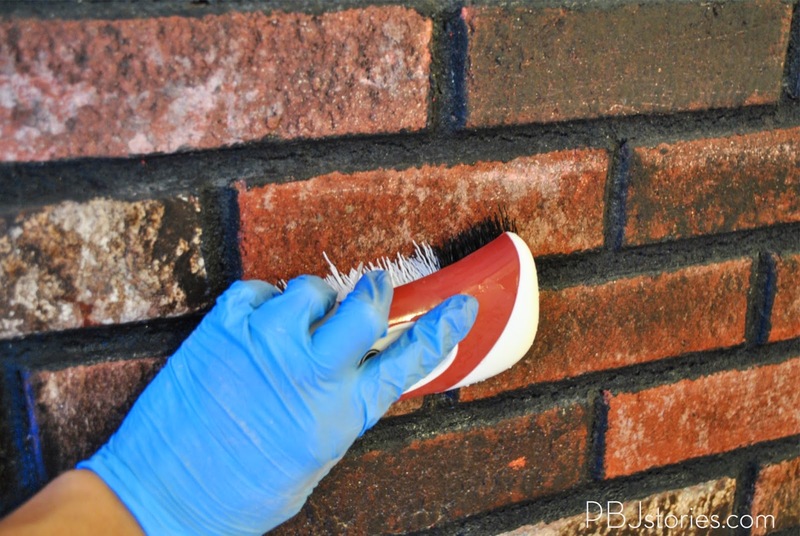 From what I've read relating to painting exterior brick - a roller finish will last longer, a paint sprayer will cover better overall. I don't have a lot of experience with using a paint sprayer so I was a little nervous about tackling this big of a project with a paint sprayer for my first time...but I knew it'd give the overall finish I was trying to achieve better than a roller would. Since it was my first time using a paint sprayer I talked with my contacts at HomeRight, explained the type of project I was doing and the type of primer. She helped me choose the HomeRight Power-Flo Pro 2800 (amazon affiliate link) paint sprayer and initially I was a bit nervous just because it LOOKED pretty intense. Once I opened it up and did a few test sprays I was able to become comfortable with it pretty quickly. And QUICKLY is how it painted my wall! I seriously was so happy I decided to go the paint sprayer route because each coat was able to be done so easily, and had such a nice even finish. This was after 1 coat of primer. Not bad huh!! Almost already looks like I was just going for a white-wash look. After I did a second coat the face of the bricks looked great, however the mortar..or cracks... still had a lot of the original black coming through the paint. This was because it's a VERY uneven surface and had I tried paint spraying directly into all the cracks it would have pooled and caused drips so while I was using the HR paint sprayer I concentrated on the face of the bricks to make sure they were getting good even coverage. 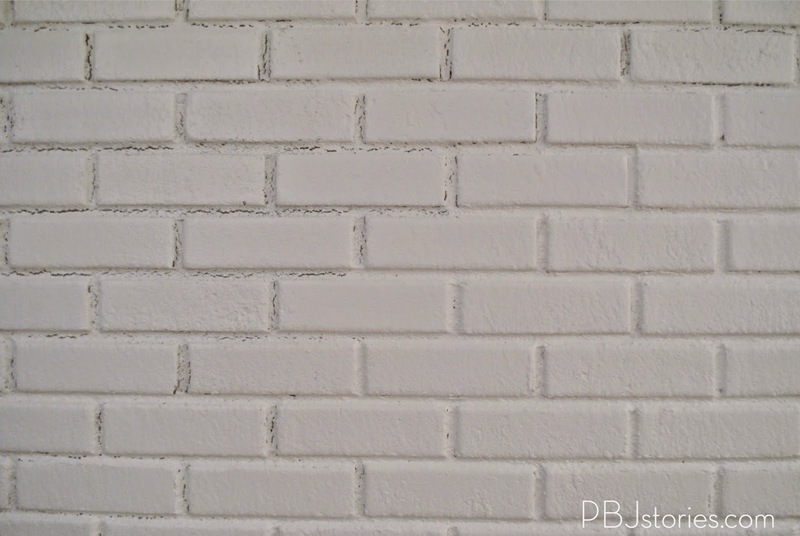 But like I said, then I was left with the mortar (the "grout" lines) black peek-through look and as I said I wanted a solid finished all white look to the wall so, I wasn't that happy I was left with this. Step 6. Hand paint the mortar cracks with primer to fill in any missed cracks with the paint sprayer. Step 7. Use paint sprayer to apply the top coat. I decided to choose Sherwin Williams "Snowbound" as our top coat. Because our wall is in a room that has a lot of white reflective (white ceiling and light wood floor) plus a 9 foot window directly next to it I was nervous about the shine level I choose with the paint finish - however, being a textured wall next to the dining room where there would be a lot of walking/traffic/chair bumps I wanted a paint sheen that would be durable. That led me to select Sherwin Williams Duration line in Satin. It's not too reflective, but also has a durable level to the paint. I was originally planning on applying at least two coats of top coat to the wall, but after I applied a single coat I was SUPER pleased with the coverage between the HR Power-Flo Pro and the paint coverage. I CANNOT get over the difference this single wall makes on our ENTIRE dining room and kitchen space... It's beautiful and adds so much texture and style to the room - I absolutely love it! What do you think? 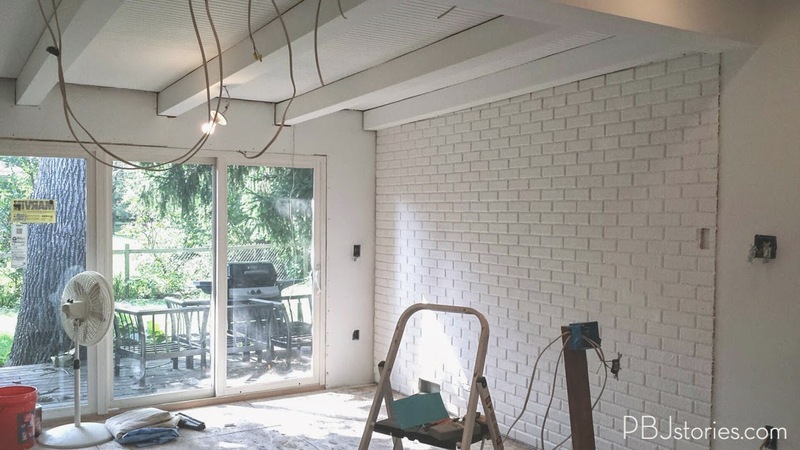 Do you have bricks you'd be willing to take the drastic process of painting white? 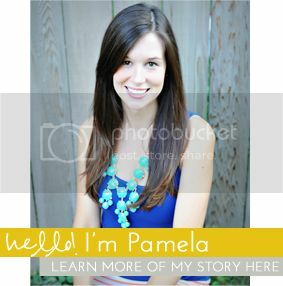 Would you go for a more simple process and just whitewash? You can also follow along with HomeRight on Facebook, Twitter and Pinterest. HomeRight provided me with the airless paint sprayer to get this job done. All opinions, ideas, and rants are my own. Thanks for the info! We are renovating my husband's grandmother's home that was built in 1888. The fireplace in the kitchen is DARK. I'm trying to decide between whitewashing or just painting. Looking at the surrounding decor and style may help you decide that too. Would whitewashing fit the decor style in that area? Additionally, if you don't have access to a paint sprayer for that finished look then white washing would be easier! Would love to hear what you end up doing! We have a beautiful brick fire place in our new home that we are so excited for. However, the brick looks very outdated and it is not a pretty red. I am itching to paint over it! 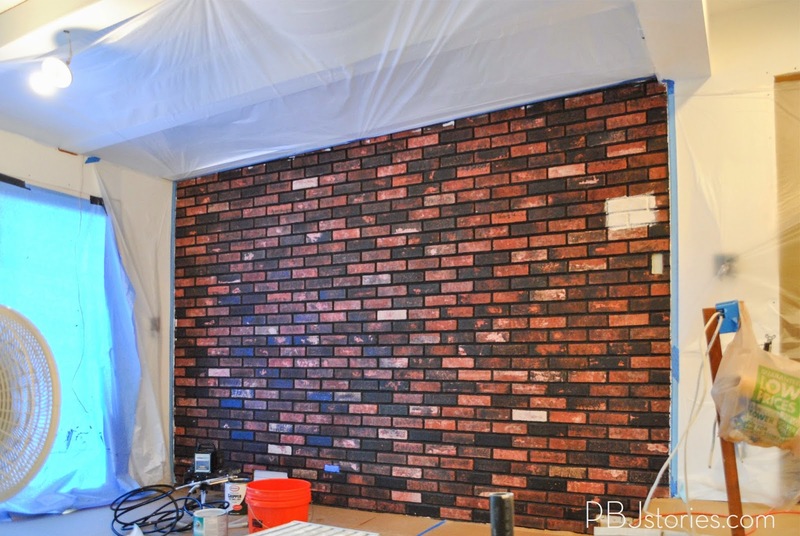 Your brick wall turned out beautiful! I bet so did the rest of the room!